HEBRON, Ky. — Before the president announced on Friday that there was a deal to end the partial government shutdown, some airports on the East Coast were seeing widespread delays caused by a shortage of air traffic controllers. At Cincinnati/Northern Kentucky International Airport, there was no shortage of workers. 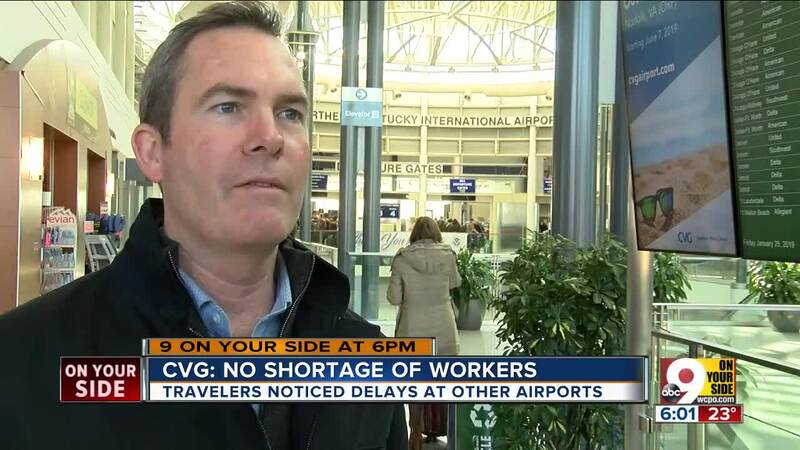 But the shortages at other airports like Newark, New York LaGuardia, Philadelphia and Atlanta did cause some problems for flights coming in and out of CVG. Some travelers at CVG said they felt the impact. Susan Schiller was flying to New York. "This morning, we got a text saying our original flight was canceled, so it's been rescheduled and delayed again," she said. "But, you know, no big deal from our point, this is just a pleasure trip." Mouhamed Leigh said there was a long wait to get through security in Atlanta. "The lines were crazy," Leigh said. "There were hundreds of people waiting in line, which it is never like that in Atlanta. It's busy, but it's gotten worse in the past few weeks." 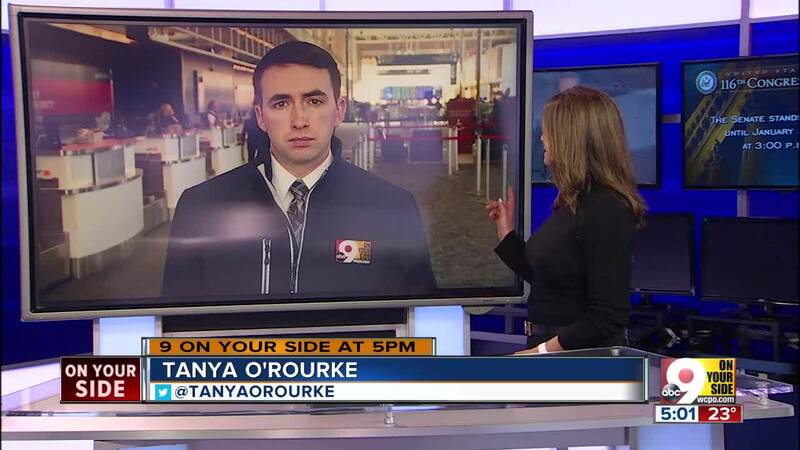 However, most travelers who spoke to a reporter at CVG Friday didn't have any problems with their flights. "So far, I haven't been impacted by the delays," Seattle resident Derick Hickling said. Still, travelers like Hickling were adjusting their schedules in case they did run into problems at airports along their route. "I actually am leaving either my meetings or hotels to get to airports sooner, just in case there are delays because of the TSA," he said. About 800,000 federal workers, including TSA agents and air traffic controllers, missed their second straight paycheck Friday due to the partial government shutdown. President Donald Trump said the three-week stopgap funding measure that's ending the shutdown will allow workers to be paid.